Many people rely on prescription medical marijuana to live more comfortably with debilitating diseases, mental health issues such as Post-Traumatic Stress Disorder (PTSD), and as a means of coping with discomfort/pain after surgery. To receive the medicinal and therapeutic effects needed for an optimal recovery and comfort control, the humidity of cannabis plants themselves must also be controlled. Here are some of the most important reasons for greenhouse humidification for optimal medical marijuana growth conditions, outlining the benefits of using a humidifier in these sensitive spaces. When specific quantities of marijuana plants are needed for medical purposes, it is integral to the well being of patients that greenhouses can produce a sufficient number of plants. This means that the sprouting process needs to be carefully protected and encouraged. 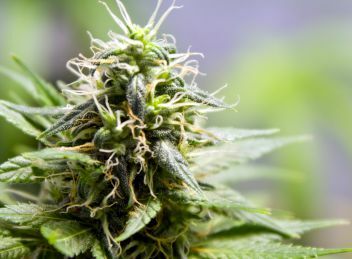 Cannabis seeds are incredibly expensive – especially when producing in large quantities for bigger greenhouse operations – and are highly sensitive to moisture and disturbances. By maintaining proper humidity control, more planted seeds will sprout, be healthier, and less prone to damage (though they are still highly fragile and require expert care). Regardless whether cannabis is at the seedling stage or has fully grown, it is always highly susceptible to various diseases and airborne infections, which can be incredibly dangerous and harmful not only to the plants themselves, but those who handle them or interact with the environment they are grown in. This is generally the direct result of high humidity. Maintaining the relative humidity (RH) at optimal levels will reduce the amount of time bacteria and infectious particles spend airborne, causing them to settle more quickly. Therefore, using a humidifier at the correct settings (40% - 60% RH) will reduce disease potentialities. It also makes greenhouses safer and more comfortable environments for workers. With controlled greenhouse humidification where the environment doesn’t simply absorb the heat from outdoors without sufficient air moisture, cannabis plants are not the only ones to benefit from it. The workers who directly handle, inspect, and harvest marijuana for medical use need to be healthy and comfortable in order to focus on their work without intrusion from dry conditions, breathing difficulties or skin irritation. Issues such as oedema, slowed photosynthesis, edge burn, soft and/or stunted growth, and mineral deficiencies are just a few of the issues that can plague cannabis plants in conditions with overly low or high relative humidity (RH) levels. Maintaining proper humidity control helps to reduce the buildup of plant pathogens such as fungi and bacteria, which tend to manifest in still air conditions. This will ensure that the prescription medication each patient receives stemming from these specific cannabis plants is sufficiently potent and neither too strong or weak – it achieves the “Goldilocks Effect” in terms of narcotic impact on the patient’s system in accordance with their prescribed measurements of medical marijuana, meaning that they receive only what is needed and nothing more or less. This is crucial, particularly with such drugs as medical marijuana, to keep patients healthy, safe, and protected as best as possible from addictions development. Since cannabis is a highly sensitive plant in need of attentive care, it’s important that greenhouse humidification is made a high priority throughout every season. If it is grown in a non-seasonal climate such as in temperate regions, it’s crucial that humidity introduced to these warm spaces is adequately filtered. By using a humidification system such as one of Condair’s energy efficient humidifier systems with evaporative cooling, excess humidity can be filtered out to protect the cannabis from heat shock. Colder seasons and regions also need to utilize proper humidity control to ensure these sensitive plants aren’t at risk of developing shock from freezing. From a general perspective, shock can result in stunted growth or even outright death of cannabis plants if not treated properly. Given the cost of cannabis seeds for production and the fact that patients rely on their prescriptions to aid their comfort and wellness, it’s quite the gamble to not properly humidify such spaces. Medical marijuana growth relies on a great many factors, including healthy soil, temperature control, and consistent moisturization, not to mention protection against disease and the encouragement of sprout growth without shock or damage risk. This is where proper humidity control and greenhouse humidification in general comes in, utilizing a wide range of beneficial processes to create optimal growing and harvesting conditions. The result is enhanced productivity, efficiency, and optimal results from the sprouting period all the way to the intended effect on the patient prescribed with the medication itself. Speak to one of our humidification experts today to learn more about humidification for marijuana growth.